This Personalised Carousel Money Box is so enchanting and our top selling Christening gift for a baby girl or boy. Made from genuine silver plate with horses that go up and down when it’s manually turned, it’s a gorgeous ornament and keepsake. 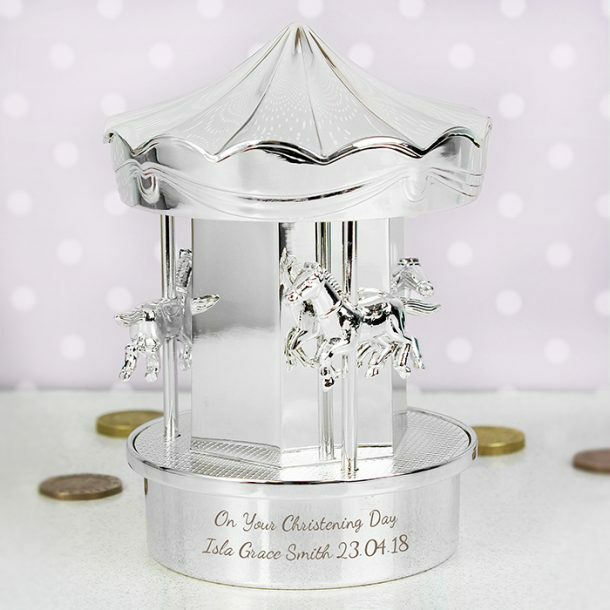 This merry go round moneybox will look wonderful placed in the nursery, and is a super way to encourage them the skill of saving pennies from a young age. Fitted with a plastic swivel stopper underneath to retrieve the savings, the approx measurements of the moneybox are 11 x 8 x 8 cm. 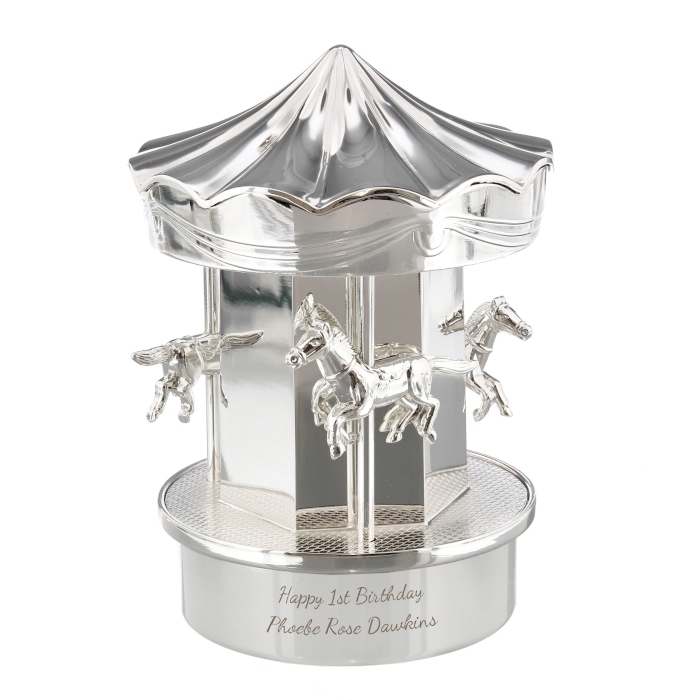 PLEASE NOTE: The carousel money box does not play music. 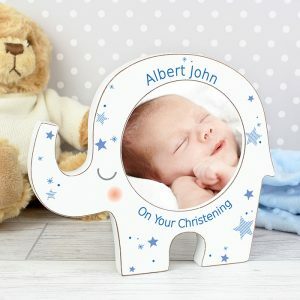 Adding personalisation will make the gift unique for the child, and to do this we allow for 60 characters over 2 lines, and this will be expertly crafted around the base of the carousel. 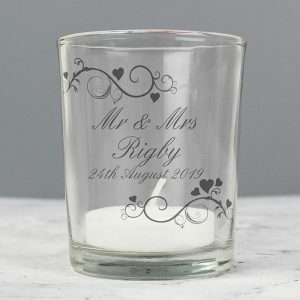 a high quality money box that’s ideal for a Birthday gift for daughters and also to say ‘thank you’ to Bridesmaids. 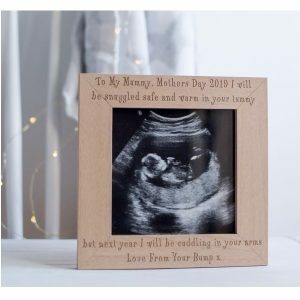 A superb traditional money box for a christening gift, lovely and shiny, the cheapest on the internet and having the child’s name on it makes it a great gift to keep. 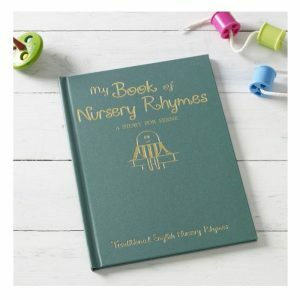 Ordered as a christening gift last minute. The support team rushed the order through and I received it early. The money box looks lovely, great communication and speedy service. Would highly recommend. Great, high quality gift. Worth every penny. Thank you! Absolutely beautiful, the engraving was perfect. Thank you Louise Wharton in customer support who was so helpful in changing my delivery to express which was super fast! I will definitely shop here again.